Author note: One lovely aspect of this dessert is how the espresso settles to the bottom of the bowls for a nice smooth espresso layer. Once the cream is warm, add the sugar, vanilla extract, espresso powder and cocoa powder. Do not let the mixture boil. 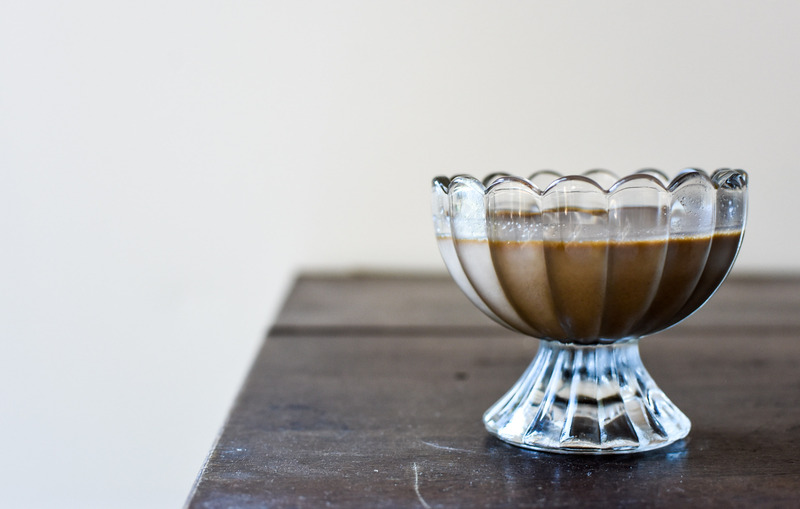 Continually stir the cream until the gelatin, espresso and cocoa powder dissolves completely. It will look clumpy at first, but do not fear. Continue to stir until the cream is smooth. Pour the cooked cream through a fine sieve over a large bowl (the sieve is to catch bits of cocoa powder that did not dissolve properly). Ladle the panna cotta into individual 8 oz. ramekins or keep in the bowl. Cover and refrigerate at least four to six hours before serving. Once the panna cotta is set, serve cold and top with vanilla bean whipped cream. This entry was tagged chocolate and espresso panna cotta, chocolate panna cotta, chocolate panna cotta recipe, dessert, dessert recipe, espresso panna cotta, instant espresso dessert recipe, make ahead, make-ahead dessert, panna cotta recipe. Bookmark the permalink.